Our pioneering Acorn Rehabilitation Unit (AcRU) is officially a year old. And it has been recognised nationally for its outstanding results in getting frail and elderly patients back home and on their feet. The unit provides specialist care for up to 14 days for people who need extra support and rehabilitation after leaving hospital. 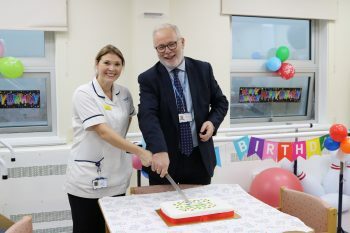 It was created when Mount Vernon Hospital closed and two intermediate care wards were transferred to Barnsley Hospital. Mount Vernon was regarded fondly by many people in Barnsley and some doubted if the new ‘therapy-led’ care arrangements would be as effective. Up to the end of October, there were 320 plus patients that have utilised the service, which has 43 staff. Eighty-two per cent of patients showed an improvement in their Derby outcome measures which is a measurement of independence and function and there were 88% ‘green days’ where there was value adding interventions and care. Eighty-nine per cent of patients were up and dressed as part of measures to stop so-called PJ paralysis (changing into different clothes at the start of each day is proven to help aid recovery, maintain a normal routine, and help patients return home sooner). Further analysis at AcRU showed delays in patients waiting for an intermediate care bed had more than halved. “We opened a year ago although the name Acorn Rehabilitation Unit was chosen later on. 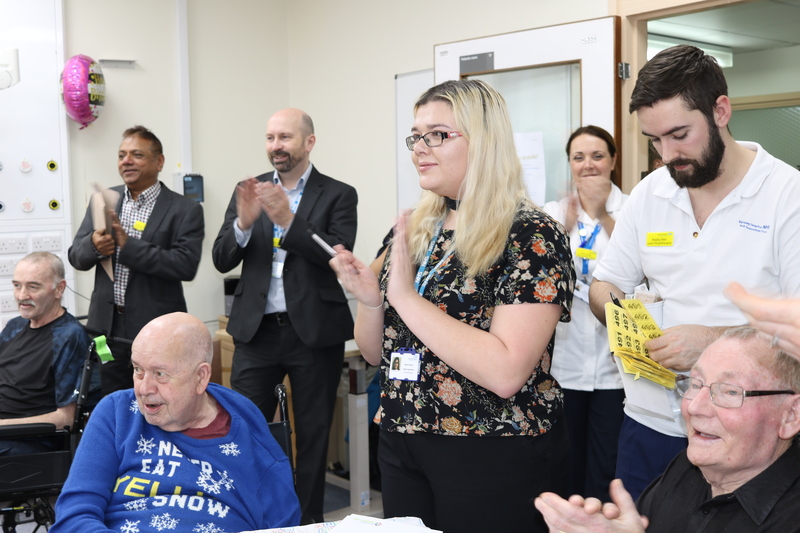 After Mount Vernon closed, the new model of care was a therapy-led model which includes the 24-bed Acorn Rehabiliation unit as part of the wider intermediate care pathway. The idea of our unit is that patients stay up to two weeks and have the relevant assessments and rehabilitation as appropriate. “We try to encourage normal routines and make life as near as possible to what they do at home.